Not the industry you're looking for? Check out other industries Royal Chemical serves. Royal Chemical is proud to support companies working to keep our groundwater safe, our pipes clear and our water supply fresh, clean and abundant. Have a water treatment question? We have the answer. Does Royal Chemical offer house formulas or formula development services? Royal Chemical does not offer house formulations but has relationships with key suppliers who will offer house formulas or develop custom formulations. Does Royal Chemical offer re-packaging Services? Yes. Each of our plants can transload from bulk tank trucks to most any packaging type. Our OH and PA plants can also accept rail deliveries. We are very experienced in re-packaging both liquid and dry materials from and to a wide range of package types. Do you have a lab available? 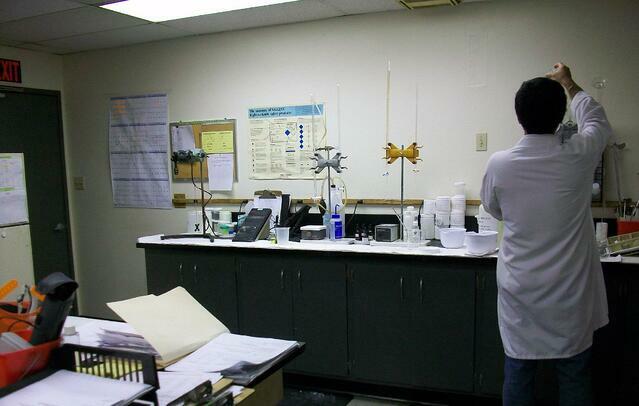 Each plant has a quality assurance lab staffed with full time chemists.